Ahh, just gotta love the album "Obscured by clouds"! The song 'Wot's..uh the deal' is from this album, and I reckon it might just be my favourite song on the album. The first time I listen to the song, I got tears in my eyes. I thought it was so very beautiful. In the later years I've learnt how to play the intro of the song on the guitar! Yay. So proud of myself! Let me just say I'm not a wizard on the guitar. I'm actually quite bad.. But practise makes perfect! So I just have to keep practising. My good friend David Kilminster (Roger Waters guitar player) have told me a few times that I can't give up, and that if I practice quite a lot throughout a year, I'll be kinda' good. Back to the song! The song is written by David Gilmour and Roger Waters. 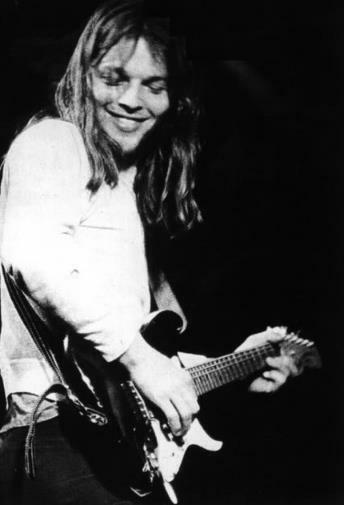 The song features a warm, acoustic guitar intro over a softly sung Gilmour/Wright vocal. At this time, this had become somewhat over familiar in Pink Floyds recordings. The nicely piano played by Richard Wright raises this song out of the ordinary. The lyrics are wonderful and it makes you happy. Or, at least, it makes me happy! This album was actually made for Barbet Schroeder's film "La Vallèe" (The Valley). 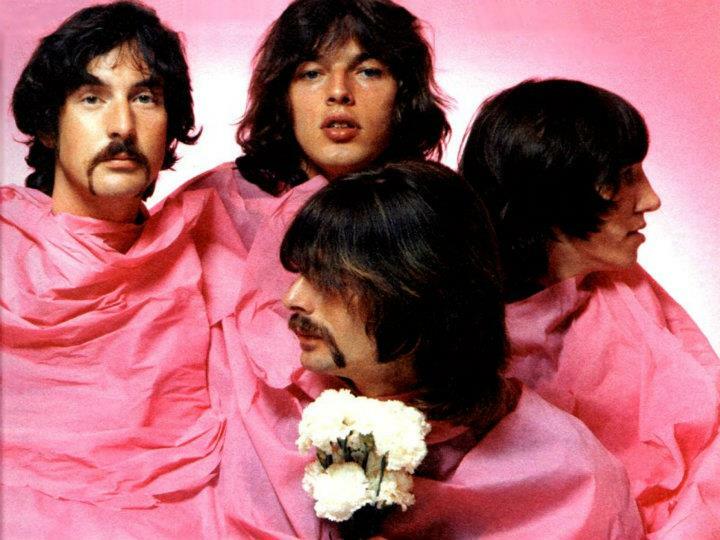 Pink Floyd had tried the whole soundtrack music before to the film "More" - the album has the same title, but that didn't work that well.. That was Schroeder's film as well. I'm not a huge fan of that album, but I listen to it every now and then. Even though the first film music project didn't work very well, they wanted to give it another go, and I'm glad! This was much better, and the songs are brilliant! When the band had said yes to making the music to this movie, they mostly said yes because of the money. The time was short, and they actually wrote and recorded the album in two one week sessions. The album was never performed live by the band, BUT, David Gilmour and Richard Wright actually played the song "Wot's..uh the deal" on a few live shows during 2006. A few years ago, I bought a dvd. David Gilmour, live in Gdansk from 2006. At that moment I had no idea of what songs they were to play. I watched through the entire film, and I loved it! I got tears in my eyes all the time! When I thought it was finish, the rolling title started AND "Wot's..uh the deal" came on! The song was from a live show I reckon, but only the song, not live film. But anyway, I was breathtaken once again! I'd never herd it live before, and it was so beautiful. I was so happy!! :0)) Sadly, at that moment, I didn't have any true Floyd friends, so the people I told after the film was over, they didn't seem to care at all. That was really sad actually.. 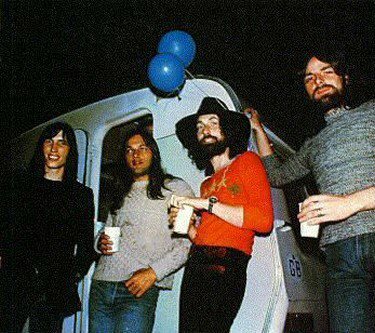 But I knew that there would be loads of Pink Floyd fans out in the world, and I knew that I had to go find them! Well, that's all for tonight! I wish you all a really great weekend! Shine on all you crazy bricks! Hello! Myself I'm ardent listener of Floyd and I'm planning to get a few tattoos myself. Actually that's how I came across your lovely tattoos I was searching it up on google. Any ideas for some tattoos? Glad to see that there are some true Pink Floyd fans who read my blog! Thank you! And yeah, I really love my tattoos, and I will get more, for sure! My next ideas is the flowers from "Empty spaces" and the screaming face from "What shall we do now". I love The Wall, and all the animation, so my plan is to fill up my right leg with motives from The Wall. I have loads of ideas for tattoos! What is your favourite album? And do you have any favourite motives? I love the "Wish you were here" symbol, with the 4 elements and the metal hands shaking. And the man who is on fire shakes another man's hand is really amazing!! There are not all albums you could tattoo stuff from, like "Atom heart mother" and "The piper at the gates of dawn. I reckon Dark side, The Wall, Wish you were here has the best motives for a tattoo, but you might find lots of other amazing motives as well! I wish you good luck by choosing and gettin a tattoo! Please post me a picture of it!